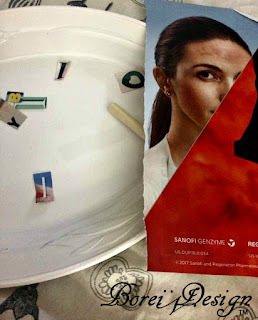 Have old magazines laying around ready for recycle? Looking for a way to to upgrade an inexpensive thrift or dollar store mug? Why not make this super easy handcrafted, personalized magazine mug that's dishwasher safe? A couple of months ago I made some of my best friends' daughter a cute gift mug for high school graduation (see: DIY Dishwasher Safe Monogram Cat Mug Gift Card Basket.) When my oldest daughter saw it she was mad that I've never made her mug. After a little brainstorming, I came up with (what I hoped was) the perfect the design to fit her personality. When she saw it, she busted out laughing and absolutely loved it. 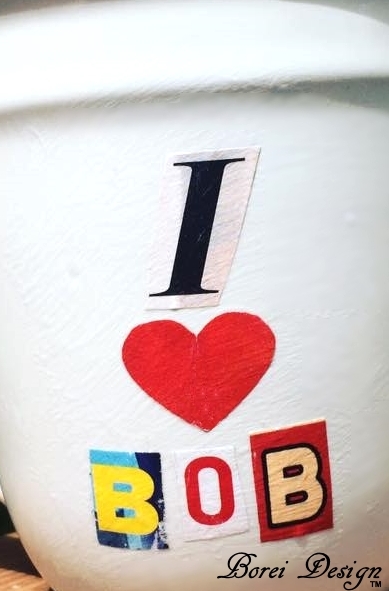 Let me give you a little background info as to why I an "I 'heart' Bob" mug was the perfect idea. My oldest daughter is currently a senior in college and her "adventures with Bob" started around her junior or senior year in high school. She has always been very particular about guys and has never been the type to a grow puppy love attachment for just anyone. So much so, that she rarely bothers to divulge the name of any potential "suitor" to us (her parents.) Because the majority of these guys never reach actual name status, we just decided to call each and every one of them "Bob." While we know that she takes the decision of marriage very seriously, we also know that one day the "Ultimate Bob" will come along and her father will have to walk her down the aisle (sniff, sniff.) My husband's best friend recently came up with a theory about this that we had never even pondered. What if the guy she ends up marrying one day is actually named Bob? Can you imagine how that ceremony will go? We imagined that it would go something like this.. Daughter (saying vows): "Bob! I've loved you my whole life!" Me (standing up in objection): "Ok, young lady! This has gone too far! The least you could do is tell us his name!" Daughter: "For the last time! HIS NAME IS BOB!!!" 1. Cut desired lettering and shapes from old magazines. 2. 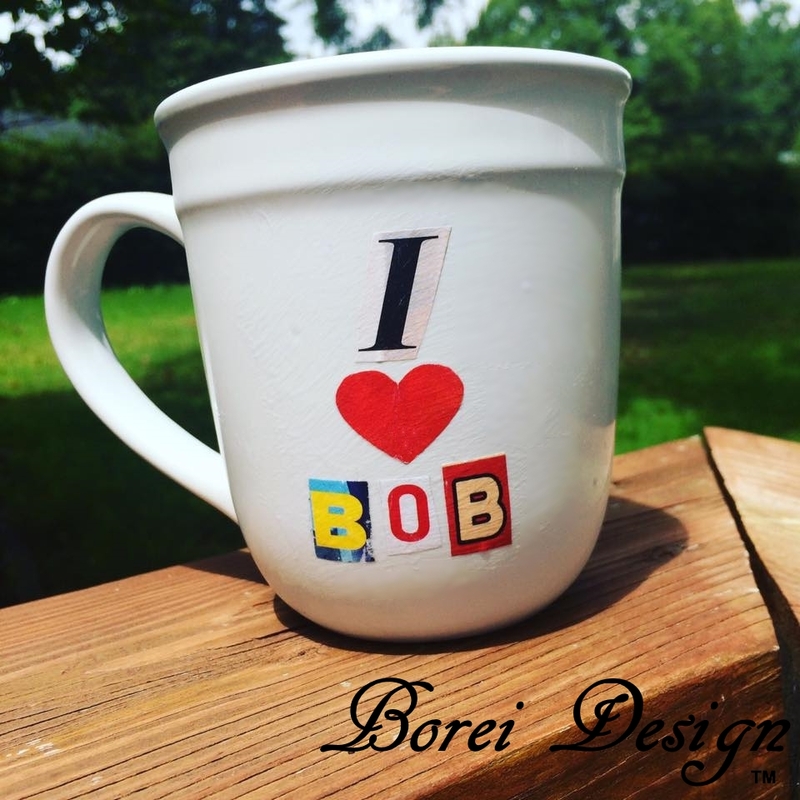 Sponge brush a layer of Modge Podge Dishwasher Safe Gloss (regular Mod Podge will not work-see end of post for more info) and place cutouts on a mug as desired. 3. Allow mug to dry for about 2 hours. Then sponge brush a layer on top of the cutouts to seal. Allow to dry for an additional 2 hours and add another coat. Repeat adding additional layers and drying two hours between each layer. Add at least three layers on top. Allow Mod Podge to cure at least 28 days prior to washing. Until next time, happy crafting.... and to my future bob-in-law: you are in my prayers. May the odds be forever in your favor! Some of the supplies I used are available at Amazon via the affiliate picture links below. 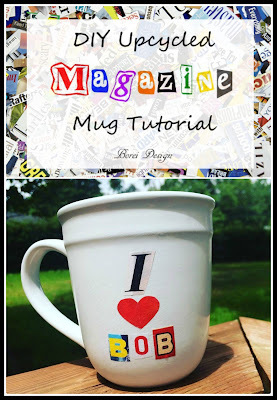 I love crafting and this DIY mug is so lovely .I like that you can personalise it to each individual taste to make unique gifts. Really awesome! I love my arts and crafts and with the summer holidays dragging on a bit, this will be really fun with the kids! 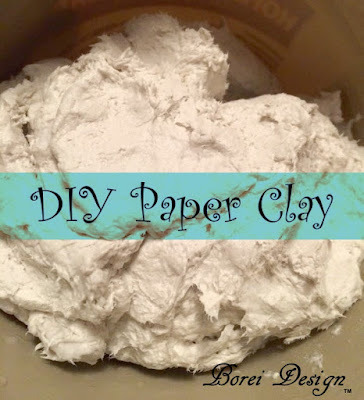 I am a big fan of DIY, because I had so fun doing this with kids and friends. It brings out our creativity and mugs are also good souvenir. What a great DIY craft project! I should totally make one of these mugs for my mom as a gift. I wish I'd have thought to make a mug or my daughter's friends grad gifts. What a fun idea for upcycling. That does look super easy. And it looks like such a fun craft to do with a mug. I love it. My daughter and I should try this out soon. I love making things with mod podge. It really is fun and interesting to use. This looks like it's super easy to make! Thank you for sharing this idea. This is such a super fab idea. Perfect for gifts too. I have always wanted to do something fun with a mug. Sometimes I just want to put a picture of my vacation on a mug to remind me what a great time I had. I am going to give this instruction a try. This is a wonderful idea. I've always thought how to personalize mug this way. 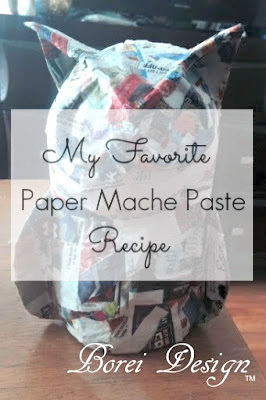 This is a great DIY find and perfect for party giveaways or simply a gift. Thanks!